Yolanda Kakabadse – the indefatigable defender of sustainability – is a former Ecuadorian Minister of Environment and the current International President of WWF. Kakabadse also founded CDKN alliance partner Fundacion Futuro Latinamericano, is a member of CDKN’s Network Council and has been involved in the Amazon Security initiative. In this interview with Miren Gutierrez, she explores the challenges facing Amazonian countries in managing this key resource. You have been reported as saying that people, and more importantly decision-makers, pay more attention to sudden weather-related disasters than to biodiversity loss in Amazonian countries? Is that so? What can be done? The need to urgently tackle biodiversity loss is equally important. Yet, this issue seems to be a laggard in the government priority agenda. Most people do not realise the direct relation between biodiversity and our well-being. Biodiversity plays a key role in creating resilient ecosystems and providing vital services such as water, clean air and climate regulation. Additionally, for thousands of years, species have inspired our cultures and helped us build our identity. A world only inhabited by humans is unviable. The Stockholm Resilience Centre has identified 9 planetary boundaries within which humans can live safely. According to their studies, we have transgressed the biodiversity boundary to such point that we might be entering the sixth extinction phase in the planet. Sadly, humans drive this one. The latest Living Planet Report by WWF affirms that the state of the world’s biodiversity is worse than ever: during the last 40 years vertebrate species have halved. Most of these losses are occurring in the most biodiverse regions in the world. In the Amazon continent, the report showed an 83% loss of the species analyzed. So if you look at scientific evidence, you will see that it is truly dramatic what is happening with biodiversity and the ecosystems on which they depend; this destruction is one of the most important causes of the devastating sudden weather events we are experiencing. Unfortunately, we are still unable to feel the urgency and this inaction will bring irreversible consequences. CDKN has reported a ‘human security crisis’ caused by climate change and ‘mismanagement of natural resources’ in the Amazon. As habitat destruction trends interact with climate change, the concern is that the Amazon will be caught up in a set of “feedback loops” that could dramatically speed up the pace of forest loss and degradation and bring the Amazon Biome to a point of no return, reports WWF. How are initiatives such as Amazon Security initiative going to contribute to improving the situation? Climate change is the greatest challenge we will face in this century. Especially, because it will impact health, water, food and energy security and will increase vulnerability and risk for the region’s growing economies and populations. Climate change will transform the Amazon ecosystem. If climate impacts are not managed to avoid getting caught in a set of feedback loops, the transformation will be amplified until there is a point of no return. If we do nothing, climate change will bring devastating consequences and neither the Amazon nor the world will be as we know it. If we avoid this scenario and work together to build a resilient ecosystem, Amazonia can help us adapt better to climate change. A rainforest not only stores carbon, it has a natural ability to regulate and stabilise the climate. Just imagine the power of Amazonia, the largest rainforest on Earth. Protecting the Amazon can protect the climate. 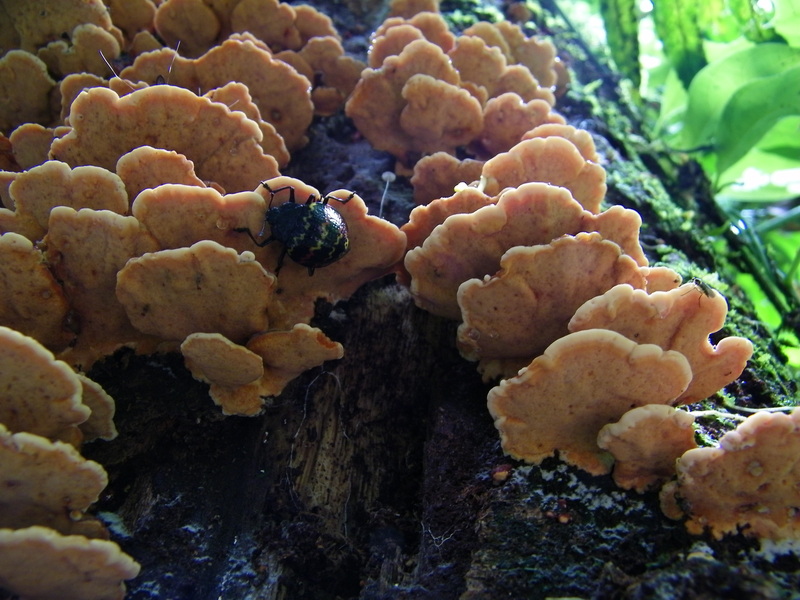 In fact, that is precisely what the Amazon Vision seeks: to strengthen the Protected Areas Systems of Amazonia shared by Brazil, Bolivia, Colombia, Ecuador, Guyana, Peru, Suriname and Venezuela, in order to increase the ecosystem’s resilience to the effects of climate change and to maintain the provision of environmental goods and services benefiting biodiversity, local communities and economies. The Amazon Security agenda will contribute to tackling climate change since it intends to guarantee water, food, health, energy and of course, climate security throughout the Amazon biome. What are the concrete obstacles right now to guarantee water security and protection in the Amazon? You have stressed the need to protect and guarantee access to water. Water is the central and most important resource to guarantee health, energy and food security. A healthy water system is vital for providing clean drinking water, agricultural production and fishery, hydropower generation and regulation of water borne diseases. Water is the nexus that bounds everything. However, agriculture, cattle ranching and energy generation threaten water security through pollution and flow disruption. Hence, all securities are interdependent: If one of them is at risk, probably all of them are. The Amazon is the largest river system in the world with more than 100.000 km of rivers and streams. The Amazon River on its own discharges an average of 6,300 km3 of water to the Atlantic Ocean annually, nearly 20% of global freshwater that flows into the oceans. Additionally, the rainforest releases 8 trillion tons of water vapor into the atmosphere each year and transports it thousands of kilometers away. Because of that, the Amazon plays a key role regulating the climate system around the continent. In the midst of abundance, one would think that water security is not an issue but in fact, it is a serious one. Increasingly, water is facing more and more threats. Currently, more than 250 new hydropower dams are planned for the Amazon region. If they all go forward as planned, only three free-flowing tributaries of the Amazon River will remain, compromising the river network and the provision of ecosystem services to the societies and economies in the region. Besides, mining exploitation and pesticides from agriculture pollute the river system with heavy metals and toxins that are ingested by fish and later by humans. Furthermore, increased deforestation and land use change impact water availability since the forest recycles nearly 25% of the water it receives. All of these pressures are the main obstacles to guarantee water protection in the Amazon and hence, all other vital securities. Specifically, how does the initiative recommend responding to extreme droughts that were once unthinkable in this region? Extreme droughts that were once unthinkable in the region are now more frequent, intense and unpredictable. They are exacerbated by climate change and by the fact that the forest can no longer respond to this phenomenon and regenerate itself in the same way it used to. Future scenarios are less optimistic: it is projected that if warming trends continue, Amazonia will suffer from severe droughts every other year by 2025. In the last decade the most severe droughts occurred in 2005 and 2010. During the first, 1.9 million km2 of the Brazilian Amazon were affected causing crop losses of 139 million USD, an 18.5% increase in healthcare costs due to more respiratory diseases and other environmental and social losses valued in 100 million USD. During the latter, 3 million km2 of rainforest were severely affected and economic losses were even worse. Forests fires increased dramatically (200% in 2010) accelerating forest degradation and leaving the Amazon even more vulnerable to mitigate the drought. How to deal with extreme natural phenomenon such as droughts? Not difficult: protect the ecosystem so it can regenerate itself without fatigue. In order to do so, we must halt deforestation. Currently, the Amazon is the biggest deforestation front in the world and interventions are urgently needed to prevent a large-scale, irreversible ecological disaster. WWF estimates that 27 per cent of the Amazon biome will be without trees by 2030 if the current rate of deforestation continues. Without forest cover, droughts will increase and its devastating effects will worsen. The majority of the Amazonian forest is contained within Brazil (60% of the rainforest), followed by Peru with 13%, Colombia with 10%, and with minor amounts in Venezuela, Ecuador, Bolivia, Guyana, Suriname and French Guiana. Is this variety a political challenge? Is there a good level of cooperation between these countries? Do they share similar concerns or competing demands? 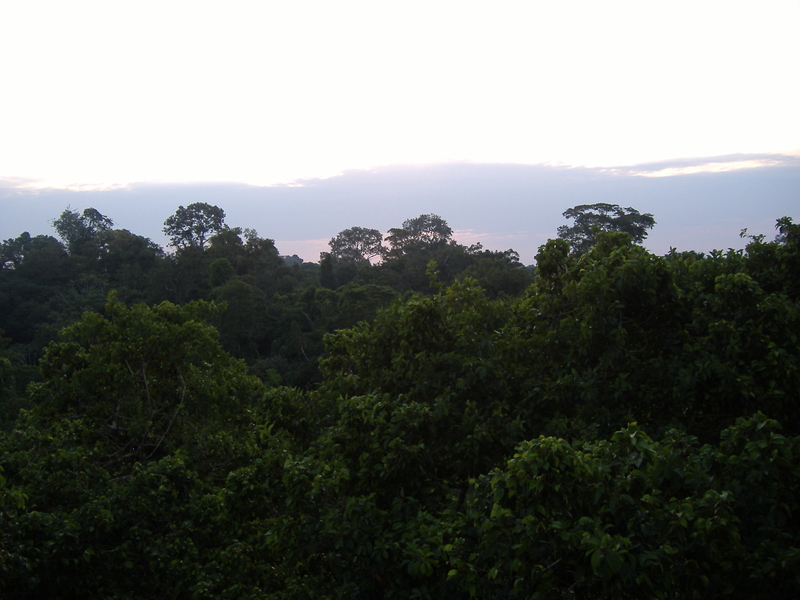 While the rainforest is politically divided, the biome is one. What happens in a country will have an impact in all Amazonia. Therefore, it is a common interest of all Amazonian nations to manage the rainforest sustainably since they have a joint dependence on its natural resources and a joint exposure to regional-scale risks. We know that water, health, food and energy security are interdependent and that they are all vulnerable to what happens in nine different countries. This seems as a huge challenge. Actually, it is. However, it is also an opportunity to strengthen public policies at a regional level. The atmosphere, rivers, species are indifferent to political boundaries and that is why all nine countries must have a Pan-Amazon vision rather than a narrow country focused one. This means, sharing information to help informed decision making, mapping and monitoring areas where water, energy, food or health security are most vulnerable, creating a regional development agenda, strengthening protected areas systems, having common basin management policies and a joint zero net deforestation target, among others. Only by having a common and coherent agenda they will be able to overcome all the pressures the Amazon is facing and ensure the wellbeing of the region. Climate change acting in combination with biodiversity loss has had social impacts already. 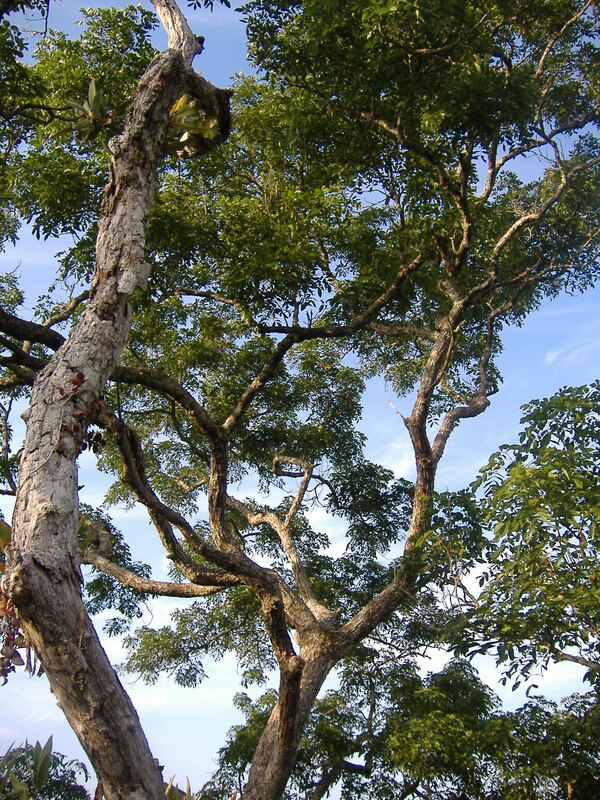 One of the conclusions of a report called ‘Amazonia Security Agenda’, published by CDKN and Fundación Futuro Latinoamericano, is that ‘widespread inequity in Amazonia will be exacerbated by threats to the securities, and is likely to lead to increased social conflict unless addressed.’ Is there any plan to address this challenge? A huge amount of wealth is being produced in the Amazon: oil extraction, mining, agriculture production, cattle ranching and hydropower produce billions of dollars in revenues annually. For instance, in 2012 Brazil received US$8.8 billion a year from iron extraction in the Pará state, Bolivia US$3.8 billion for natural gas and Ecuador US$8.9 billion for oil in 2010. Yet, little of that wealth stays in the Amazon. Ironically, in the land of plenty, local communities suffer from high insecurity. Despite being surrounded by water, few Amazonians have access to a proper water supply, treatment and a basic sanitation infrastructure. Hence, they are particularly vulnerable to pollution and to everything that comes along with it: disease, malnutrition, among others. According to a report published by A Articulação Regional Amazônica (ARA) http://araamazonia.org/: 60% of people in the Bolivian Amazon, 37% in Ecuador, 23% in Peru and 17% in Brazil were estimated to be below the extreme poverty line in 2011. Inequity and vulnerability will accentuate if increasing threats to food, health water and energy securities are not properly addressed. Changing this trend without shifting the development paradigm will be impossible. All Amazon countries should adopt policies that secure equal and sustainable access to food, water, energy and land. Indigenous consultation rights should be respected before approving a development project that will impact directly or indirectly their territories. According to the Amazon Environmental Information Network (RAISG), 11% of oil blocks and 18% of mining concessions overlapped recognised indigenous territories in 2012. If these challenges are not taken serious at a local, national and regional level, land conflicts will increase, inequity will rise and the Amazon ecosystem will have to bear even more pressures affecting everyone who benefits from its services but especially the most vulnerable and poor. This is a crucial year in the life on this planet: in December we will see the UN Climate Change Conference in Paris and the UN summit for the adoption of the post-2015 development agenda in New York. What do you expect, realistically speaking? We are witnessing a great and inevitable transition towards a sustainable development model. Indeed, 2015 will be a landmark year in this process. In September, countries will adopt the post-2015 development agenda and the sustainable development goals at the UN Summit. Three months later, Paris will host the Climate Change Conference (COP21) where a new global agreement will be signed. These two historic events will set a roadmap for that great transition. The 17 Sustainable Development Goals will set targets for governments and redirect public policies and investment towards accomplishing them. The same will occur with the new climate agreement. We expect the Paris agreement to set commitments ambitious enough to ensure we stay below 2ºC warming, the temperature limit for a safe climate future. It will send a clear message to all the stakeholders in the world: climate change is a top priority in the world and everyone must do its fair share to address this global problem. Governments must take seriously the path towards a low carbon economy, business must lower their emissions while becoming energy efficient, investors must divest from fossil fuels and civil society must engage and change their carbon intensive lifestyle. That is what I expect: for everyone to be aware that the world is changing and that we must take part in that inevitable transition.